What Fruits Pair Well With Which Spices? Fresh, ripe fruit is as alluring as any natural food could be, with its sweetness, bright colors and bold flavors. 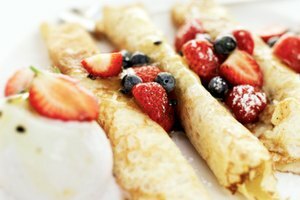 Even so, cooks and bakers can enhance fruit's innate appeal in many ways though skillful preparation. One of those ways is by pairing fruits with spices that complement or enhance their own flavors, creating a combination that's greater than the sum of its parts. 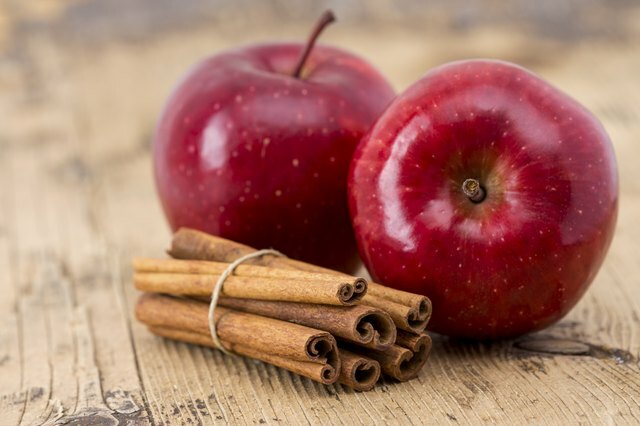 Warm spices such as cinnamon, allspice and nutmeg have a well-established connection with apples, but don't feel obligated to cling to tradition. A hint of licorice flavor from caraway, anise or star anise works well with apples, and so does the woodsy aroma of crushed juniper berries. For a bolder departure from the everyday, pair apples with Indian-themed flavors such as cardamom, cumin, coriander and a hint of chili heat. 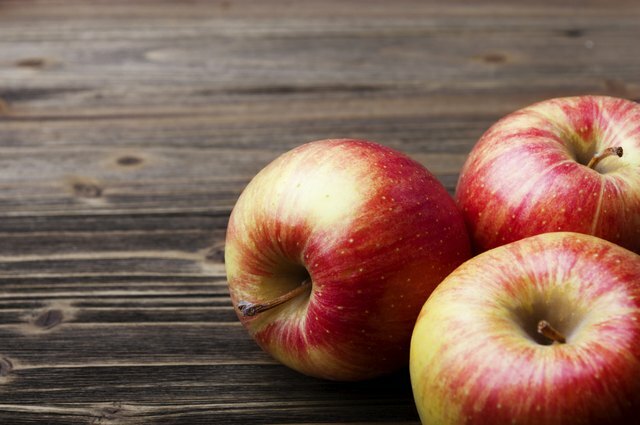 Pears and apples are close kin, and the same warm spices that work with apples naturally complement pears as well. 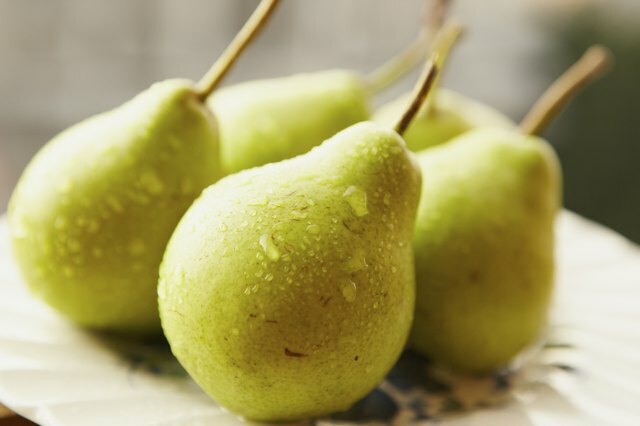 That being said, pears have a honey-like sweetness that comes into its own when they're poached. Simmer a peeled pear in syrup with a split vanilla bean, for example, to make a classically elegant and simple dessert. Substituting a healthy pinch of saffron for the vanilla bean is a bolder choice, infusing the pear with a rich golden color and distinctive fragrance. 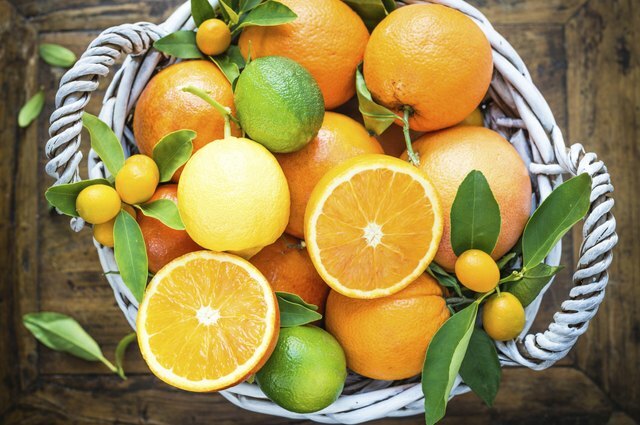 Oranges, lemons and limes are some of the boldest-flavored of all fruits, with their bright and insistent acidity. Citrus fruits work well with bold spices such as clove and cinnamon in sweet dishes, and they bring out the innate citrus notes in ginger. In savory dishes, the earthiness of cumin, the floral and citrus notes of coriander and the palate-warming bite of chilies are all good choices. Exotic saffron has a powerful affinity with citrus, and works well in both sweet and savory dishes. 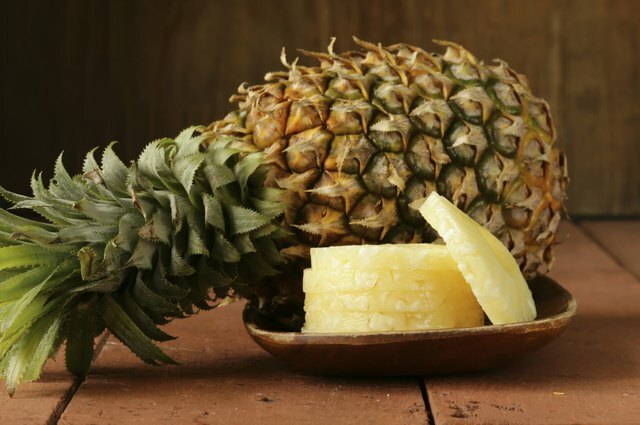 Pineapple's lush flavor and firm texture make it a natural for baking, broiling or grilling, and it's equally at home with a wide range of spices. All of your warm-spice favorites are appropriate, but it's especially compatible with allspice and they're commonly paired in tropical-themed dishes. 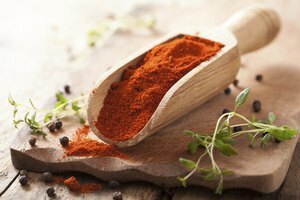 Savory spices such as chili peppers or good-quality paprika are especially good with grilled or broiled pineapple as a component in savory dishes. 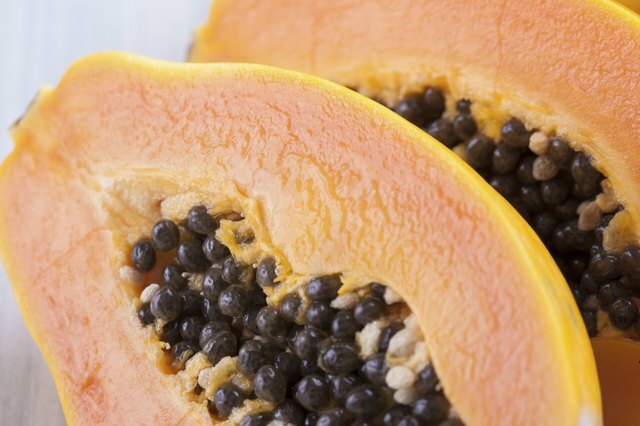 Unlike citrus or pineapple, papaya's distinctive characteristic is its mild and rather bland sweetness. A squeeze of lemon or lime juice is often used to brighten and focus its flavor, but sumac -- a red and fruity Middle Eastern spice -- works just as well, and lends a visually distinctive accent as well. Interestingly, papaya itself provides a highly compatible spice. Its own black seeds, dried and crushed in a spice grinder, can be sprinkled over papaya wedges to add a pleasantly peppery flavor. 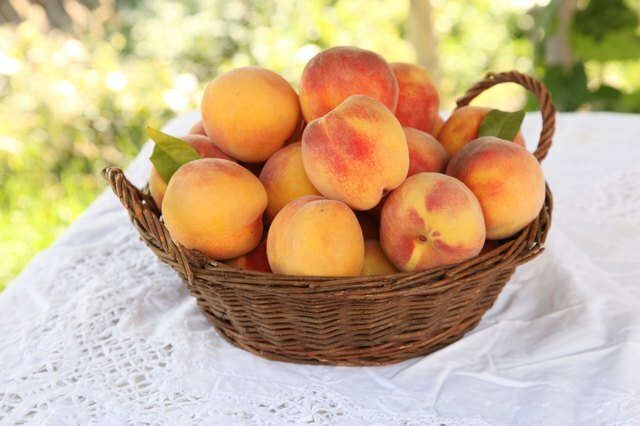 Stone fruits such as peaches, nectarines and apricots are among summer's greatest pleasures, vividly lush and sweet on their own or in your favorite baked dishes. They play well with warm spices such as cinnamon, nutmeg, allspice and cloves, but ginger -- fresh or dried -- is an assertive alternative that's often overlooked. 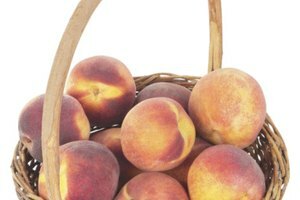 Grilled peaches work especially well with chili heat and earthy, smoky flavors such as cumin or smoked paprika. One spice that works surprisingly well with many fruit is freshly ground black pepper. 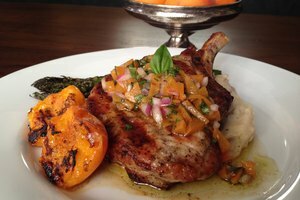 The fresh spice is surprisingly nuanced and aromatic beneath its familiar heat, and it's a remarkably effective complement to fresh strawberries, melons and stone fruit. 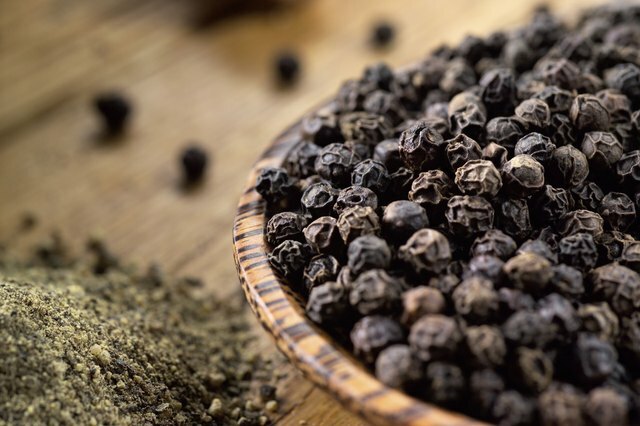 Fresh black pepper also has a remarkable ability to complement and elevate the flavors of traditional warm spices such as cinnamon, nutmeg and allspice, making them "pop" in your favorite fruit desserts. Construct your own pairings by preparing slices or cubes of several fruits, and trying them in turn with spices from your cupboards. After a few tasting sessions, you'll be able to construct pairings that match your own personal palate. Fresh fruits and berries are commonly sprayed with a wide range of pesticides and fungicides, and can be exposed to various forms of bacteria or plain old dirt on their way from farm to market. Rinse or wash your fruit well, under cold running water, even if you're planning to peel it. 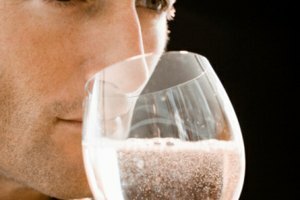 Otherwise, your knife or fingers could transfer contaminants from the skin to the fruit underneath.